I felt a little displaced this morning after waking up on my friends’s couch in the middle of her living room, while she and her partner raced around in the early hours preparing for a six-hour birthing class. Her newly bought house in the northern suburbs of Melbourne has become my new ‘base’ while I’m back visiting friends. I peeked my head out from under the blankets to wave goodbye, thankful it was her and not me getting out of bed after an eight hour wedding party yesterday. As the door closed I was left in an eerie isolated state. It’s that time of life for those born in the early 80’s; marriage, houses and babies. I can’t say any of the aforementioned are on my current list of things to do, but every time I come home I notice the world around me is gradually changing. I’ve always been the one gallivanting across the world on some kind of adventure. It’s got to the point where most of my friends have completely lost track of where I’ve been or what I’m doing, and naturally the most common question is always ‘what’s next?’. My friend’s partner put it down to basic curiosity around how I manage to avoid the ‘regular’ flow of life that most people find themselves in at this age; stable jobs, rent, bills etc. I have done a fairly good job at avoiding most of these obliations, but all good things come at a price. Displacement, bouts of loneliness, a sore back from sleeping on couches. Luckily I’m learning to revel in these things, realising this lifestyle ain’t gonna last forever! While still on the couch I started flipping through a few of my favourite blogs to see what other like minded folk were up to in their separate nomadic worlds, and strangely enough I stumbled across a post from Cat regarding an award she’d just received from a fellow blogger called Stick. It’s called the Liebster Award, and the theory behind it is celebrating the writers whom you enjoy following by placing them in your top 11 and asking them to answer a list of 11 self-designated questions. This exposes your followers to new blogs and thus a healthy promotion of new literature, opinions, experiences and adventures circulate around the cyber world. Reading through Cat’s questions and answers I reached her list of 11 blogging hopefuls. What brilliant intellectual sporty superheroes could possible inspire a woman with her own following of intellectual sporty superheroes? Lucky last at number 11 was the name ‘Serial Nomad’. Is there someone else using my name? Apparently not. Underneath some of my own adventure heroes was me!! Similar to the notion that I don’t really see myself as a ‘hiker’, I also don’t really see myself as a ‘blogger’, though obviously I love both. Thanks Cat, you would have been way up on my list if I could re-nominate you!!! I’m even more honoured that I get to respond to the 11 thought provoking questions you’ve developed. These will come in my next post, along with my own questions for the next lucky 11! As a mortgage payer (no babies) it is nice to learn about the other world that you live. Live each day to its fullest, one at a time. Oh wait a minute. …you are already doing that 🙂 You inspire the masses. I am simply grateful that you share your experiences. Few are willing to express themselves with the amount of raw emotion you’ve entrusted to your readers. Few are as deserving of a blog reward and recognition. Congrats! As to lifestyle, I think you’ll find the “white picket fence” doesn’t exist anymore than the perfect childhood with mom’s like June Cleaver. You’ll find your own path and identity. The tracks you’ve already made will continue to influence your future journeys. 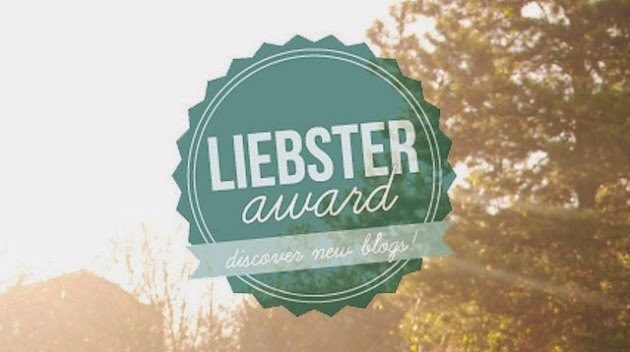 I look forward to your Liebster Award response blog. Cat — your “mountain lion sister”! When I read her name in your post, I was wondering if it was a different Cat; then I saw the liberal sprinkling of every possible conjugation of the F word in her post, and instantly knew it was the Cat from JMT 2013. Congrats to you both on the well-deserved award. I agree 11 times !!! !